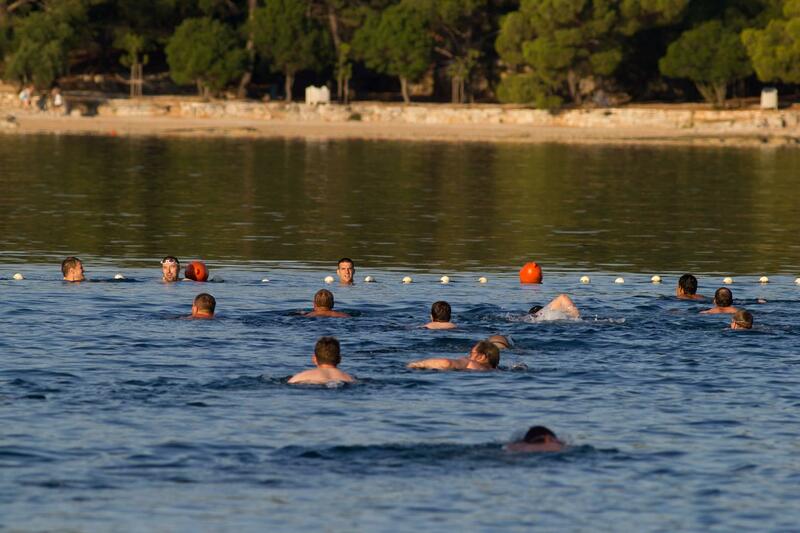 Every year, Netgen organizes a summer camp on the beautiful Croatian coast. 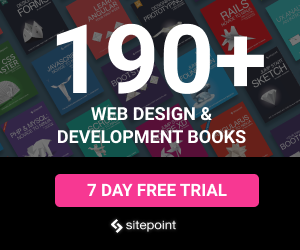 The scope of this camp has evolved from being eZ Publish-only, to being Symfony/PHP + eZ Publish (and calling itself PHPSummerCamp), and finally to being Symfony + PHP + eZ + Design this year, under the name “Web Summer Camp”. 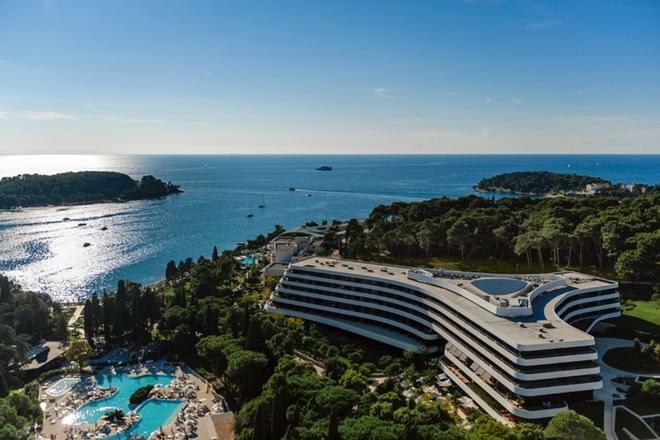 Taking place in the wonderful town of Rovinj for the 3rd time in a row, the 5th annual Web Summer Camp was an expected incremental success. More attendees, more thorough workshops, and more technical preparedness were just the tips of the organizational iceberg that Netgen et. al continue to demonstrate. While I was in a speaker capacity this year, and thus haven’t had the opportunity to participate in as many workshops as I may have wanted to, I did come away with some impressions I think are worth sharing. Differing slightly from previous years, this camp’s workshops were based in hotel Lone – a fancy five star hotel with excellent staff, drop-dead-from-stuffing-your-face lunches, and extraordinary WiFi. Yep, that spaceship-looking marvel of architecture is the Lone hotel. It was literally right next to the beach, so taking a dip in the strangely warm sea was only a couple of steps away, and it was close enough to everything else for it to still be easily reachable on foot. Dog friendly beaches were another positive, seeing as I brought my beast along. In terms of changes to last year, this is definitely a positive one. 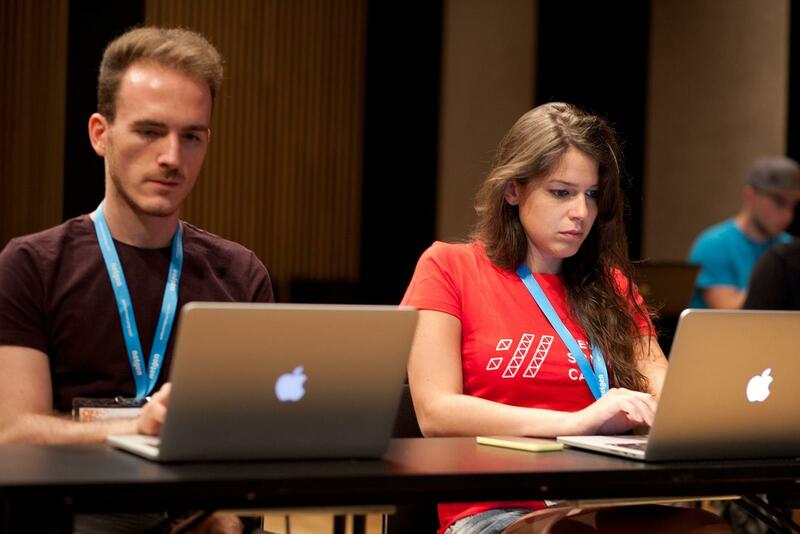 The decision to make all workshops 3-hour-only this year was made long before the CFP opened. This didn’t mean a dramatic decrease in the number of workshops, however – two new tracks were opened. Like last year, a new PHP track was added to accommodate for the additional interest and the missing shorter workshops, and a Design track was added for the non-developer types. The topics were versatile and ranged from generic (OOP without extends) to specific (Writing API Clients with HTTPlug). My own workshop dealt with building your own framework using third party components – basically a recreation of this but in a much lighter form. The projectors in the lecture halls had really low resolution and only VGA input. This made them somewhat laggy at times, and relatively sub par for displaying content that needed lots of room and lots of text (e.g. code). The Virtualbox appliance used as the basis of the workshops would, in my opinion, have been better as a Vagrant box. A Vagrant box’s network is immediately set up for sharing, so that an approach like a private offline Packagist can be used easily, it works fully out of the box on all operating systems (tested it myself on Windows and OS X), tops out at 500 MB (or 1GB with all the Composer cache, as opposed to the appliance’s 5GB, plus another 5GB for actually keeping it on the machine), uses less CPU and RAM, and perhaps most importantly, can be easily reverted to its starting state in minutes if something goes wrong, which is something that’s not possible with an appliance unless one has a lot of disk space to spare and goes through a rather painful procedure. There was talk of using Docker eventually one day, but I think Docker’s learning curve and the difficulty of deploying it (when compared to a simple full-stack deployment on a single server, which is what most apps still are about) won’t do anyone any favors, and would only complicate matters. That said, the WiFi was amazing, the appliance worked well enough in most cases and much, much better than last year (I had problems running its pre-installed PhpStorm, but everything else worked), and the microphones were of great quality and easy to use. The whole event was, once again, recorded with video cameras and professionally photographed – all the photos in this post are also up on the official Facebook page. The few workshops I did attend were well thought out and planned, and the speakers showed that they knew what they were talking about every step of the way. Five stars for content, no doubt. In what seems to be growing into a tradition, the SummerCamp was preceded by a “triathlon” every day – swimming, cycling, and running. While not a competition and more of a stretching and warming up for the day, the triathlon was a great sub-event for some light networking before the workshops begin, and it provided us with the energy required to power through a very active day. 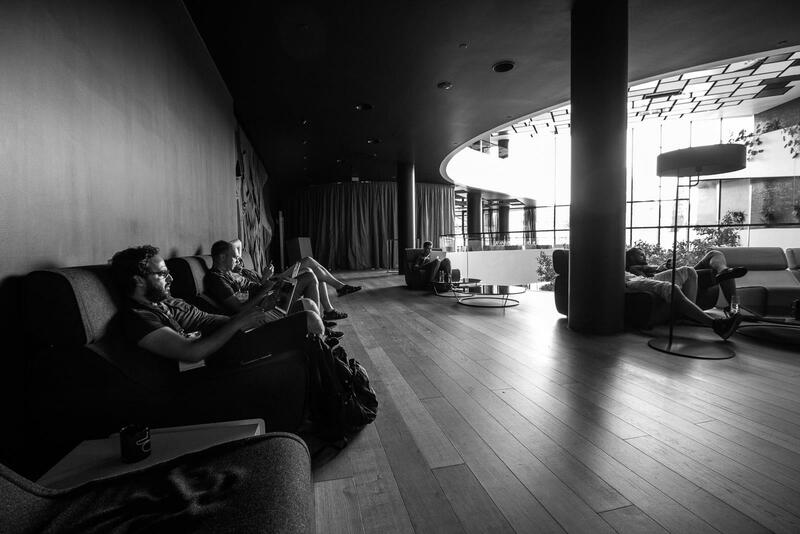 During downtime (either when skipping workshops or during breaks), the lobby in front of of the presentation halls turned into a great coworking/networking place with loads of (maybe too comfy) sitting space, power sockets, and good internet. Apart from the hotel’s lobby, there were other fantastic networking events organized like tequila nights in a Mexican restaurant, not one but two boat trips, wine tasting, open area lunches, and more. Last but not least, this year introduced the Companion track – a special program for “significant others”. 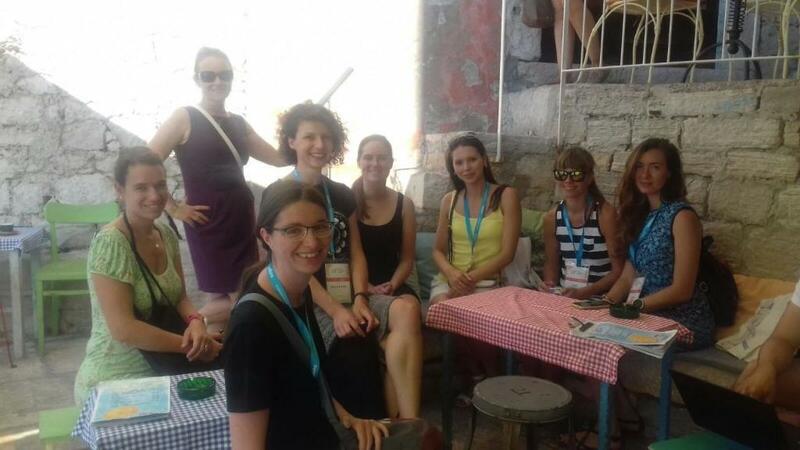 Attendees and speakers could bring their non-coding partners along for a nominal fee, and have them not only attend all our social events, but also provide them with a guided tour of the surrounding cities and nature. My own companion loved it – they went to the old center of Rovinj, to Pula, and to Motovun, all guided tours that took a good while. Sport was also an option, though minimal – some yoga. They could participate in the “triathlon” with us, but most chose not to as it was too early for those who don’t need to attend workshops immediately afterwards. They also joined us for lunch, and for all events, so we all got to hang out together. She liked that she was able to meet so many new people doing things so different from what her and her current clique are doing, and she loved the hangouts she attended. If she’d change anything for next year, it’d be more sporty activities – like going all the way to Motovun by bike, and spending less time idling there. That, to be honest, sounds like something I’d like to join in on as well. With a now already traditional focus on quality, Netgen have once again outdone themselves. The Web Summer Camp was a success no matter whom we ask, and all the tracks seemed to have offered enough for their attendees to come away happy, and with some useful knowledge to take home. The practical approach of the conference is still unique in the PHP world, the networking aspect is amazing if nothing else than purely due to the meticulously planned extracurricular activities, and this year’s new companion program gives an added edge to the conference – keeping couples together even through work-vacations. While I’m sure Netgen is already thinking about next year’s organization, I’d urge you – particularly if you’re a regular speaker at other conferences – to think outside the box, bite the bullet, and ditch the evergreen talk you keep giving at other conferences. Step outside your comfort box and plan out a workshop – show people what you can do, and teach them to do it, too. Be ready when the CFP opens, and join us. You won’t regret it.